As it is relatively easy to install the M1.5 sub-plinth upgrade onto the Modular One turntable, I was able to make direct comparisons between the two options. First to be rotated is an excellent recording of Vivaldi’s 12 Concerti, Op.7 with Salvatore Accardo, Heinz Holliger and I Musici (Philips 2 LP boxed set 6700 100). The only thing I can say is: “Wow”! The first thing to hit me is the imaging – the instruments’ positions are crystal clear. There is also far more detail apparent in the quieter sections. The sheer, stunning realism of the performance is superb and extremely captivating, making the music never less than completely compelling. Because I have a feeling that the sub-plinth is doing a great job of absorbing and isolating vibrations from the main plinth, I decide to try out something with loads of bass – some J S Bach organ music! My recording of Michael Murray playing Bach’s Fantasia and Fugue in G minor on Telarc DG-10049 fits the bill perfectly. The bass reveals itself to be super-tight but not overly restrained. The overall performance feels effortless and even when my woofers are blowing a gentle breeze in my direction during the crescendos; my system feels like it has a lot more to give. Next up for a change of pace I decide to give the M1.5 a taste of jazz. I opt for a recent addition to my collection, which is one of the better recordings of Miles Davis’ Kind of Blue on CBS 62066 – the 1960 stereo issue from Columbia Broadcasting Systems. Although this stereo release is guilty of playing ‘sax on the left, trumpet in the middle and drums on the right’, it nevertheless is a fantastic analogue recording that has huge presence and dynamics. Once again, the M1.5 reveals all of the innate beauty of the recording. In particular, the hi-hat on All Blues (or “All Blue” as it’s printed on the disc label) is extremely clear and crisp – something that is very lacking on the CD and digital versions I have heard of this recording, I might add. In fact, the top end shows a noticeable improvement with the M1.5 compared with the Modular One and this is something I was not expecting. Also, the bass is tight and in perfect proportion. Changing pace a touch, Laurent Garnier’s Tales of a Kleptomaniac is similarly rendered in an effortless fashion. In particular, the massive techno bass achieves incredible control and tightness without any sense of being unnecessarily restrained. In fact, when I move from my listening room to my study to make a few notes, I can hear the metal filing cabinet in the study vibrating in sympathy with the heavy bass beats emanating from the other room. As with any other recordings I throw the Modular 1.5’s way, the top end is transparent, open and in perfect proportion with the rest of the music. Switching to the Mobile Fidelity Sound Lab MFSL 1-107 half-cut master recording of Money from Pink Floyd’s The Dark Side Of The Moon (the term “half-cut” refers to the master disc being cut at half speed and not, as far as I’m aware, the alcoholic state of the recording engineer) produces a very musical bass guitar, while the infamous cash registers in the opening section glitter with clarity. The vocals, meanwhile, are clear and their slight rapines are perfectly reproduced. Finishing off with a full orchestra – Rachmaninov’s Piano Concerto No. 2 played by Dmitri Alexeev and the RPO on EMI Eminence EMX 2042 – is rendered in all its splendour. Impressively, the piano is never swamped by the orchestra. 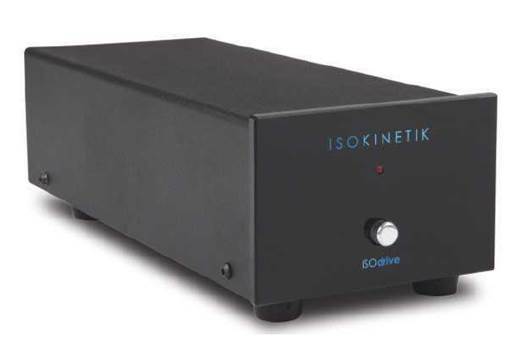 Excellent front-to-back imaging is also very evident with this recording and the deck, tonearm and cartridge are clearly working together well in order to unpick the complexities of the music and reproduce the subtle nuances impeccably well. All of my earlier reservations about the use of absorbothane as an absorbing and damping material because of its tacky feel, are completely dispelled after my listening trials (however, its stickiness can be a bit of a pain when atempting to move the unit). The Modular 1.5 builds on the Modular One (literally) and gives a performance that lives up to its elegant and refined appearance and styling. 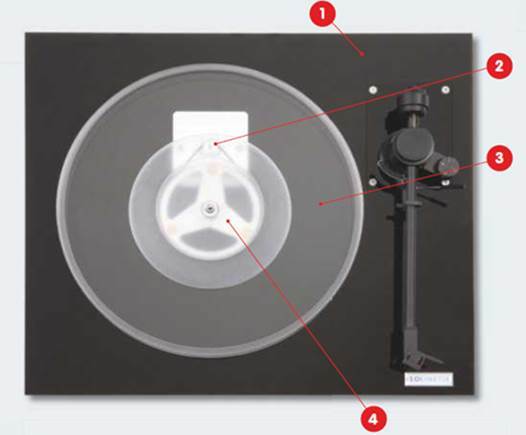 A series of excellent features, such as the tonearm transfer plate, make modification and upgrade a breeze. Attention to detail in the design and manufacturing processes ensures that all of the individual elements of the unit and its upgrades blend together perfectly. The Modular 1.5 is a top-class performer that is good value for money. Now the company is promising a Modular Two turntable will follow – watch this space! Compared with a similarly priced Rega RP6, the Modular 1.5 is a sturdier unit and feels more solid. The RP6 includes an RB303 tonearm and benefits from a high-stability crystal, locked power supply for the motor. The M1.5 can support a wide range of tonearms that are available separately and a quartz-controlled speed generator turntable motor drive system is available as an upgrade. The M1.5 has far better isolation and damping and benefits from the tonearm transfer plate feature. The RP6 is supplied with a glass platter while the M1.5 has a 12mm clear acrylic platter, with 25mm platters in either clear or black acrylic available as an upgrade. The argument over whether glass or acrylic platters sound best is down to personal taste. In the end, it is the flexibility and upgradability of the Modular One range that, coupled with the superb engineering, makes it a winner for me.